Is using Simple Work Comp right for your business? For the past 20 years, Simple Work Comp has helped business owners eliminate the non-rewarding and time consuming employee related chores and given them time to focus on growing their business; to motivate their people, and help their companies flourish. Employee Leasing allows you to eliminate labor and non-profitable administrative tasks. Reduce the amount of paperwork and time you dedicate to managing the administrative aspect of your business. Protect your assets while minimizing your risk of exposure from unemployment and workers comp claims that could result in the financial demise of your business. Outsourcing administrative aspects of your business will reduce labor and allow you to invest your time and money into income producing departments. 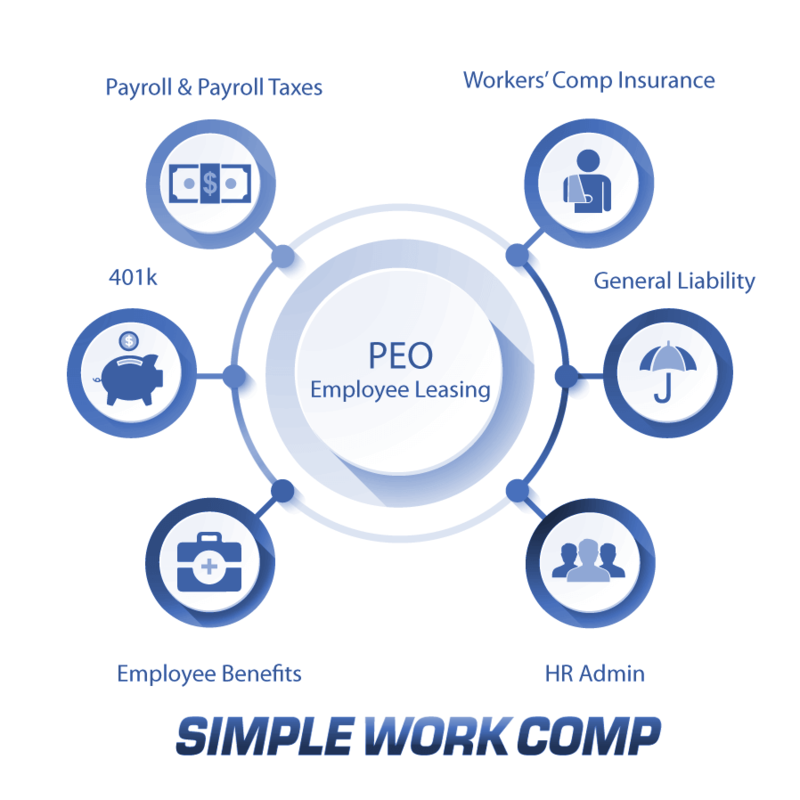 Employee Leasing relieves you of the responsibility associated with insurance benefits, claims, and the ever-changing healthcare reform schedules.